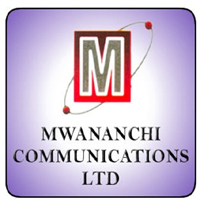 Home / JOB VACANCY / JOB OPPORTUNITIES AT MWANANCHI COMMUNICATIONS LIMITED: SUB EDITOR IS WANTED. JOB OPPORTUNITIES AT MWANANCHI COMMUNICATIONS LIMITED: SUB EDITOR IS WANTED. • Checks and corrects editorial copy allocated by the Chief Sub-Editor for facts, accuracy, taste, house-style, language use, clarity, details, objectivity, and spellings. • Subs copy to fit allocated space without distorting facts or dispensing with the salient points. • Re-writes the copy as necessary for simplicity, clarity and style. • Rewrites the appropriate headline for the copy, ensuring it reflects the overriding message of the story. • Edits the pictures selected by the Chief Sub-Editor to fit the allocated space, and writes/rewrites appropriate caption taking care not to merely state the obvious details. • Submits the edited copy to the Chief Sub-Editor within set deadlines. • Makes up the editorial pages as directed by the Chief Sub-Editor. • Checks all headlines, captions, pictures, copy text and page logos and all other page elements to sign the pages within set deadlines.